welcome to 2015 everybody!!! it's the year that just sounds like the future. has the same resonance as saying T-1000 or words that end with -tron. interesting that in the future, i listen to old songs. must be cuz i'm old. anyways, hope everyone is having a good start to the year so far. if not, don't worry, it gets better. when 2014 started, life was pretty tough over here and it certainly carried over the rest of the year. but this year is more positive with possibilities on the horizon. so whether it takes days, months, or even years to overcome a challenging period of your life, just remind yourself that you're smarter than the problem. u just haven't figured out the answer yet. but u will! enough of the preachy stuff. here's some art!! this was what i made for the Very Merry Art Trade that i participated on with some cool folks online. it's run by a couple of great artist folks and i just wanted to be part of the community. we didn't know who we were going to get, but the point was spreading cool art around. 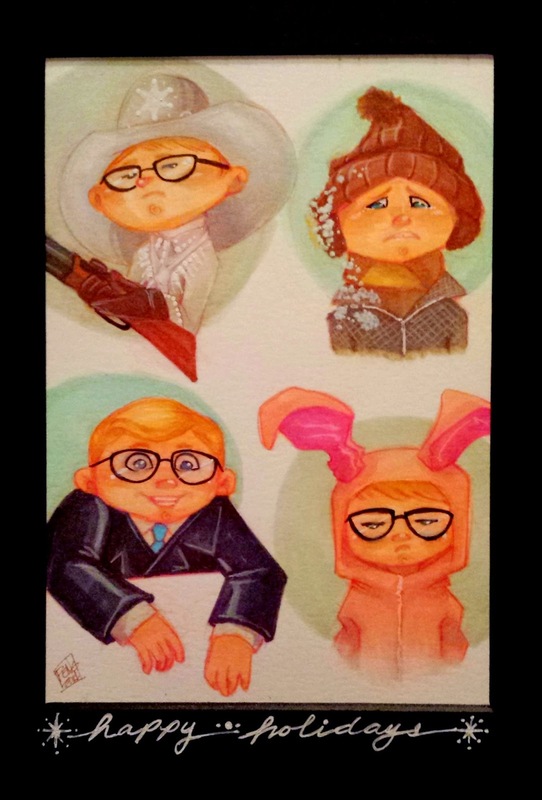 so since it was for Christmas, and i loves me mah Christmas movies, i drew the many faces of Ralphie! this was drawn on a 6x9 mixed media paper with a vellum surface. i used mostly copic markers, with some colored pencils and opaque white ink. 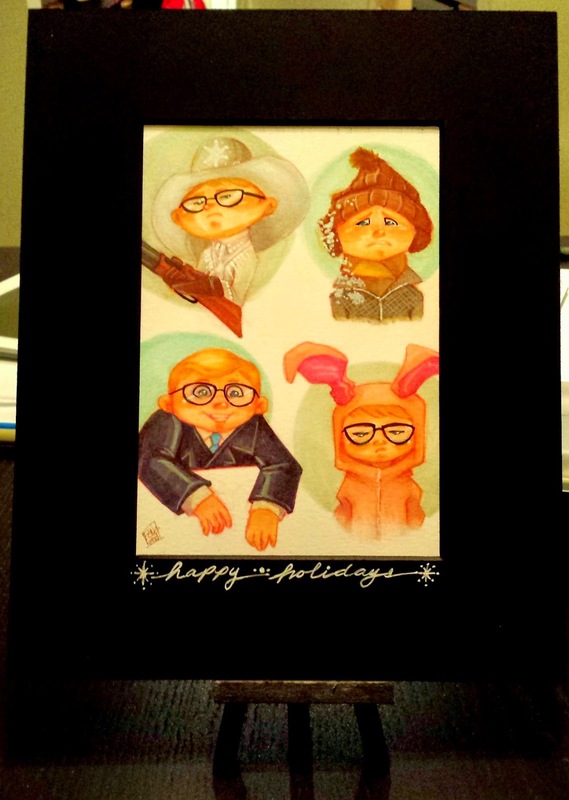 and i wrote "happy holidays" with my favorite white gel pen. this was sent out to a guy in Canada and he says he liked it so that's what matters. i, on the other hand, have yet to receive my art trade gift as of January 5th. which kinda bums me out. but that's not what it's about so i'll get over it. wouldn't be the first time i've had a secret-santa-type of exchange go bad on me.